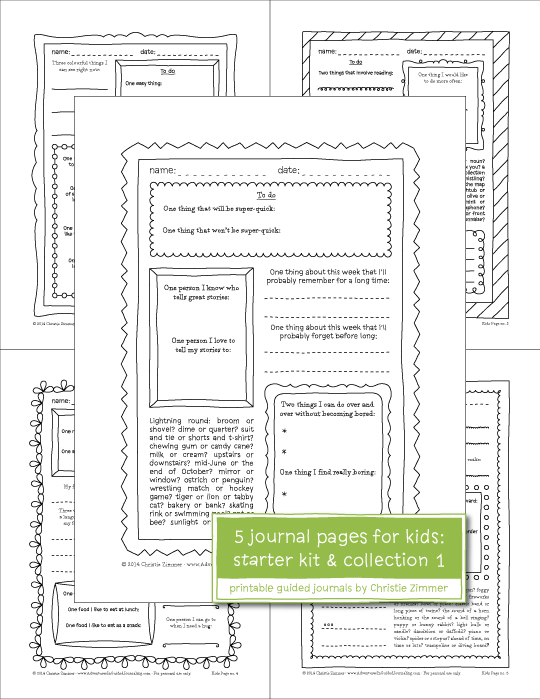 I've just listed a new set of journal pages in the shop. For kids! 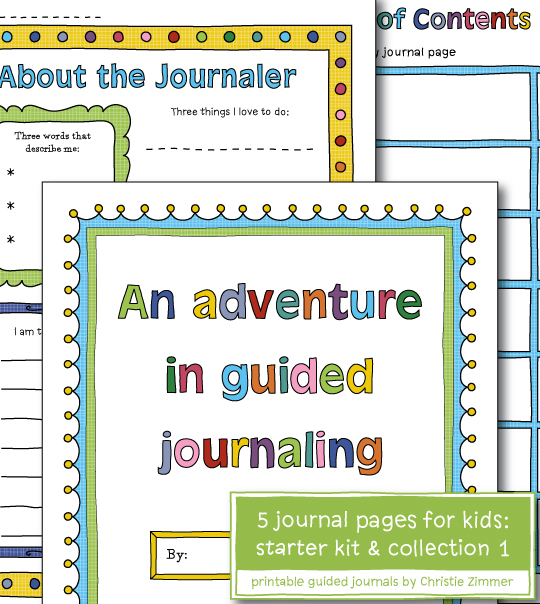 This one's a Starter Kit -- it includes 5 new journal pages, plus a cover page, a contents page, and an About the Journaler page. 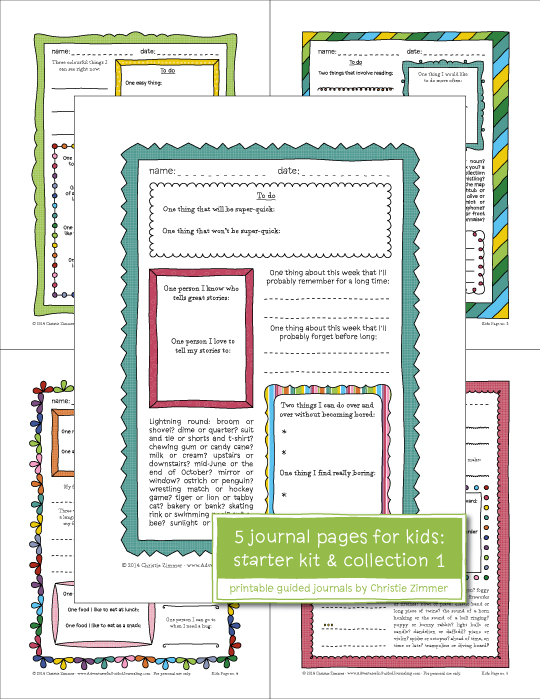 The new pages have the same look and design as my free, printable pages for kids, so you and your child can try the pages here on the blog and then, if you enjoy them, you can consider adding the Starter Kit for Kids to your collection. My Mia (7 years old) has just started painting and journaling in a pocket journal I got from you awhile back, so this is perfect timing!